16 February 2018 - still more than one month until the deadline of submitting your application for an SH scholarship. Now it is Amro's turn to tell you why it is worth so! "Hungarians are mightily inventive" - says Amro from Palestine. Did you know that Hungary is in the Top 20 worldwide considering Nobel laureates per capita? 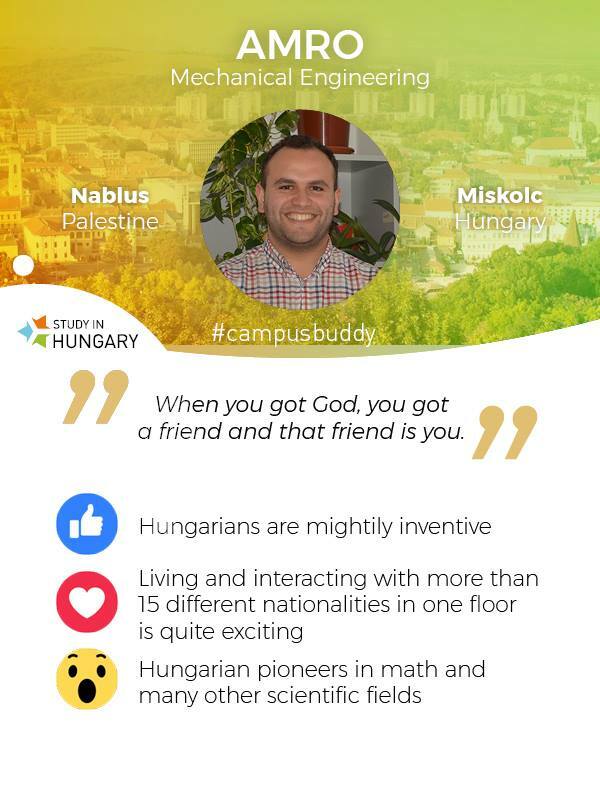 On the Facebook-page of the Study in Hungary (see: Facebook and Official page) our first year SH student, Amro Ashous shared his thoughts and feelings about Hungary and his life here. The video is available HERE, click and get to know his idea about this unique opportunity and SUBMIT YOUR APPLICATION NOW!